The upstart event, co-promoted by Eddie’s Attic and Bowe Inc., will take place in the “central park” area of Atlantic Station stating at 2 p.m. Sept. 7. 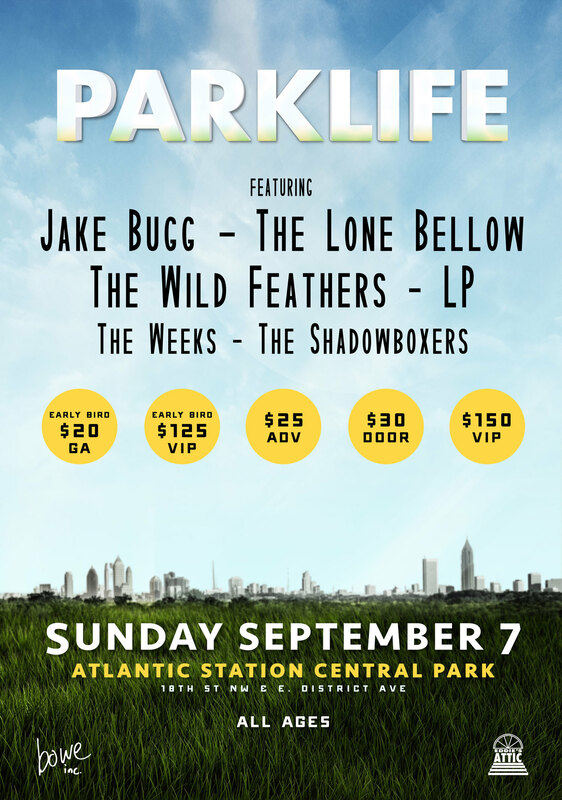 Topping the lineup is emerging British singer-guitarist Jake Bugg, along with The Lone Bellow, The Wild Feathers, LP, The Weeks and Shadowboxers. Andrew Hingley, the talent buyer at Eddie’s Attic, has been working closely with regional concert promoter Bowe O’Brien to establish the event and named it after a mutually favored 1994 Blur album. Well that’s an absolutely awesome lineup. I’ve been raving about Jake Bugg (see photos here and here) and The Weeks (Forecastle photos coming soon) for months now, and the rest of those acts are really strong too. I missed The Lone Bellow at the Savannah Music Festival earlier this year but heard only great things. Early bird tickets are now on sale for the insanely low price of $20.